What are the other Names for the Procedure? What is Ovarian Tumor Removal surgical procedure? An Ovarian Tumor Removal surgery involves the removal of a tumor, attached to an ovary. What part of the Body does the Procedure involve? An Ovarian Tumor Removal surgery involves the ovary and pelvic region of women. Why is the Ovarian Tumor Removal surgical procedure Performed? The Ovarian Tumor Removal procedure is performed for the removal of a suspected cancerous tumor on an ovary. What are some Alternative Choices for the Procedure? A surgery is often the last and decisive treatment option when indicated. What are the Recent Advances in the Procedure? An Ovarian Tumor Removal procedure may be performed laparoscopically (using a tube fitted with a camera), which is a minimally-invasive procedure. What is the Cost of performing the Ovarian Tumor Removal surgical procedure? The cost of an Ovarian Tumor Removal procedure depends on a variety of factors, such as the type of your health insurance, annual deductibles, co-pay requirements, out-of-network and in-network of your healthcare providers and healthcare facilities. In many cases, an estimate may be provided before the procedure. The final amount depends upon the findings during the surgery/procedure and post-operative care that is necessary. When do you need a Second Opinion, prior to the Procedure? What are some Helpful Resources? How is the Ovarian Tumor Removal surgical procedure Performed? The procedure may also be performed laparoscopically (using a tube, fitted with a camera). Where is the Procedure Performed? An Ovarian Tumor Removal procedure is performed at a hospital. How long will the Procedure take? The Ovarian Tumor Excision procedure may take a few hours. What do you need to tell your Physician before the Procedure? It is very important to provide the following information to your healthcare provider. This enables your healthcare provider in assessing the risks for the Ovarian Tumor Removal procedure and helps avoid unnecessary complications. 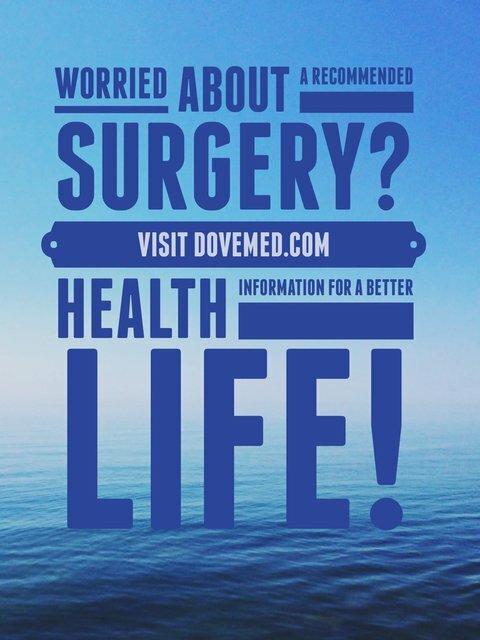 A list of all previous surgical procedures you have undergone, like for example: Removal of appendix, gallbladder, or any other part, of your body; surgical repair of any body part, such as hernia repair, perforation of bowel wall, etc. What Preparations are needed, prior to the Procedure? Inform the physician if you are allergic to any local anesthetics, lidocaine, etc. What is the Consent Process before the Procedure? A physician will request your consent for Ovarian Tumor Removal procedure using an Informed Consent Form. Consent for the Procedure: A “consent” is your approval to undergo a procedure. A consent form is signed after the risks and benefits of the procedure, and alternative treatment options, are discussed. This process is called informed consent. You must sign the forms only after you are totally satisfied by the answers to your questions. In case of minors and individuals unable to personally give their consent, the individual’s legal guardian or next of kin, shall give their consent for the procedure. What Tests are needed, before the Ovarian Tumor Removal surgical procedure? What are some Questions for your Physician? What is an Ovarian Tumor Removal surgery? Why is this procedure necessary? How will it help? How soon should I get it done? Is it an emergency? Who are the medical personnel involved in this procedure? What are the risks while performing the procedure? What are the complications that might take place, during recovery? How long will it take to recover? When can I resume normal work? How many such procedures have you (the physician) performed? Are there any follow-up tests, periodic visits to the healthcare facility required, after the procedure? What kind of Anesthesia is given, during the Procedure? General anesthesia by injection and inhalation is administered prior to the Ovarian Tumor Removal procedure. How much Blood will you lose, during the Procedure? Some blood loss may be expected during the Ovarian Tumor Removal procedure. What are the possible Risks and Complications during the Ovarian Tumor Removal surgical procedure? What Post-Operative Care is needed at the Healthcare Facility after the Ovarian Tumor Removal surgical procedure? What are the possible Risks and Complications after the Ovarian Tumor Removal surgical procedure? What is the Prognosis after the Surgery? When do you need to call your Physician? What Post-Operative Care is needed at Home after the Ovarian Tumor Removal surgical procedure? How long does it normally take to fully recover, from the Procedure? It usually takes approximately 4 weeks to fully recover from an Ovarian Tumor Removal surgical procedure. What happens to tissue (if any), taken out during the Procedure? The tissue is taken for further examination and later disposed as per the standard medical procedure. When should you expect results from the pathologist regarding tissue taken out, during the Procedure? The tissue removed is processed in the laboratory under a pathologist's supervision. Who will you receive a Bill from, after the Ovarian Tumor Removal surgical procedure? It is important to note that the number of bills that the patient may receive depends on the arrangement the healthcare facility has with the physician and other healthcare providers. The patient is advised to inquire and confirm the type of billing, before the Ovarian Tumor Removal surgery is performed. We sincerely acknowledge and thank Dr. Douglas J. Jones for reviewing the article. His valuable input and feedback has helped enrich the contents of this article.